The Chicago folk rocker plays Reverb Lounge Oct. 2. 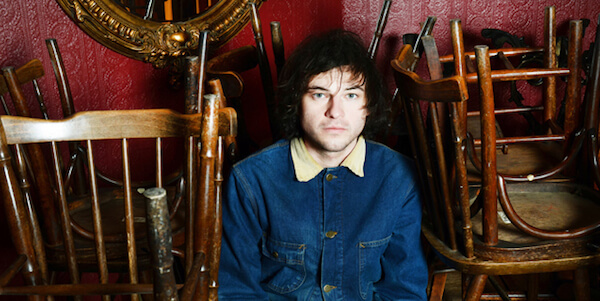 Chicago singer-songwriter Ryley Walker plays at Reverb Lounge Sunday, Oct. 2. His latest album, Golden Sings That Have Been Sung (2016, Dead Oceans) was produced by Wilco multi-instrumentalist (and fellow Chicagoan) LeRoy Bachhas, and has a dark, brassy resonance throughout its eight acoustic-driven folk-rock tracks. Wilco is a natural touch point, but Nick Drake might be closer to the target. Dallas. Every awful thing came to a head there. Press “ignore” on my phone. Something in film. Would never want to be a bus boy again. Simon Joyner tells the best ones. Ryley Walker plays with Circuit des Yeux and Simon Joyner Sunday, Oct. 2, at Reverb Lounge, Tickets are $12 Adv./$14 DOS. Showtime is 9 p.m. For more information, go to onepercentproductions.com.